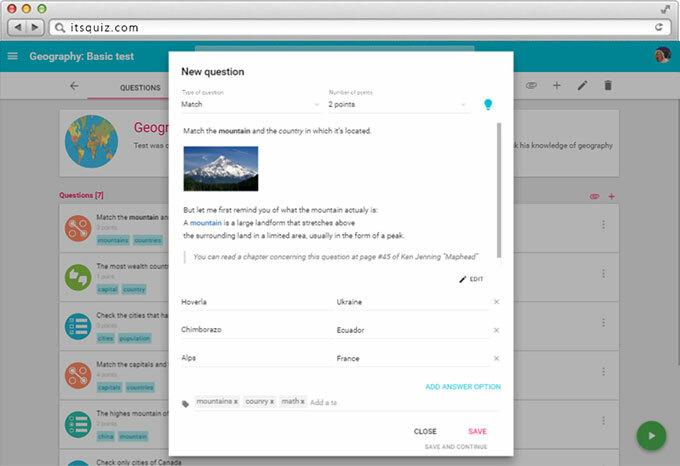 Create a quiz that will help your students to understand the material better. You, on the other hand, will be able to analize their results and define the concepts that caused difficulties. Different type of questions, sophisticated editor, ability to import images, videos, audios and a lot more features will help you to create a test on any subject. Engage your students with a challenging opportunity to test themselves. 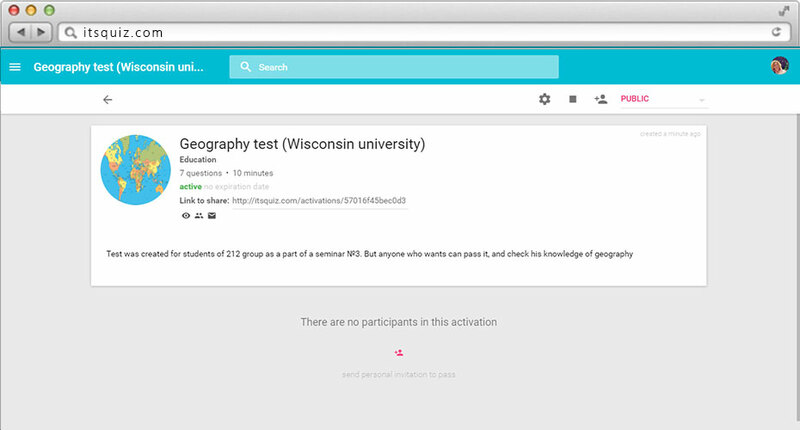 You can invite someone personally by email or via the Share Link (which leeds to your quiz).